WASHINGTON (CNS) — An Environmental Protection Agency decision to roll back an Obama-era regulation to curb carbon dioxide emissions from power plants met with disapproval and pledges to work to keep key components of the plan in place from Catholic organizations. Advocates said that rescinding the Clean Power Plan, President Barack Obama’s signature policy to meet U.S. commitments under the Paris climate accord to limit global warming, would adversely affect the health of people around the country, especially in low-income communities, and would harm the environment. EPA Administrator Scott Pruitt formally took the step to begin repealing the plan by signing a new rule in Washington Oct. 10, a day after meeting with coal miners in Hazard, Kentucky. Explaining his intended action to the miners, Pruitt said the plan exceeded federal law and that the Clean Power Plan favors energy sources that produce fewer carbon emissions to the detriment of coal. He has maintained the government should remain neutral while the market determines which energy-producing sources are best. “The war on coal is over,” Pruitt said. Faith-based environmental advocates expressed apprehension that not cutting power plant emissions would hasten climate change and negatively impact the planet. Coal-fired power plants are the nation’s largest source of greenhouse gas emissions. Misleh said it would be important to focus on the impact of power plants, which often are located near low-income communities, on the health of nearby residents. 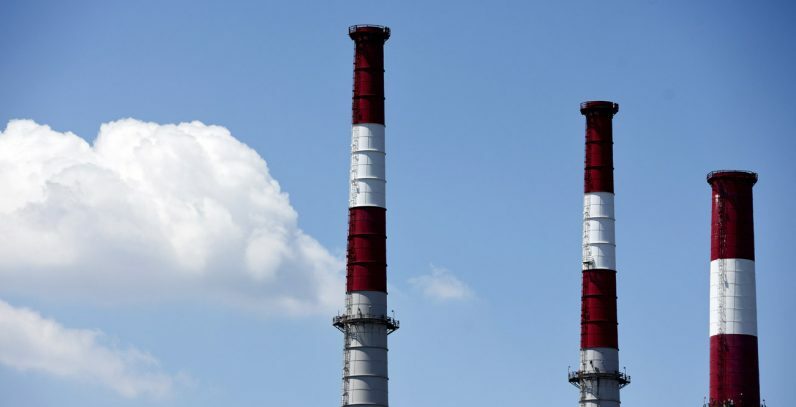 “It’s not just about CO2, which is an enormously important greenhouse gas to curb, but also pollutants to come out of these smokestacks that are harmful to people. We want to raise those moral concerns as well as the environmental ones,” Misleh told Catholic News Service. Patrick Carolan, executive director of the Franciscan Action Network, disputed Pruitt’s suggestion that rescinding the plan would resurrect mining jobs. Carolan urged the administration to focus on transitioning out-of-work miners to positions in growing renewable energy industries. Bishop Richard E. Pates of Des Moines, Iowa, said that his state was moving forward in implementing renewable energy programs with or without the rule. He credited Iowa for having a high rate of renewable energy usage per capita and said the ongoing development of wind and solar energy sources has a strong economic impact in the state. The Diocese of Des Moines was one of about 30 faith-based organizations to sign on to an amicus brief supporting the Clean Power Plan as it was challenged in federal court by Republican attorneys general soon after it was unveiled in 2015. A strong standard to help curb carbon emissions has been on the agenda of the U.S. Conference of Catholic Bishops in recent years and the Clean Power Plan was welcomed when it was introduced. Bishop Frank J. Dewane of Venice, Florida, chairman of the bishops’ Committee on Domestic Justice and Human Development, said in an Oct. 10 statement that it was unfortunate the Trump administration had not proposed “an adequate alternative” to the now-rescinded plan. “Having already withdrawn from the Paris climate agreement, this change in course by the EPA solidifies the already troubling approach of our nation in addressing climate change and places at risk many people, including the poor who can least bear the consequences of inaction,” Bishop Dewane said. “Many states have already made great progress toward carbon mitigation goals under the CPP, making this decision even more difficult,” the statement continued. “Pope Francis’ encyclical, ‘Laudato Si’,’ calls us to action in caring for our carbon home. Advocates planned to organize members and parishioners to offer comments on the new rule, which was to be published in the Federal Register. The Clean Power Plan set standards for reducing carbon dioxide emissions to 32 percent below 2005 levels by 2030. It allowed states and utilities to develop methods to reach the goals based on local needs and circumstances. Pruitt, who was attorney general in Oklahoma before joining the EPA this year and had strong ties to the state’s fossil fuel industry, has opposed the plan since its introduction. He was among more than two dozen Republican attorneys general who challenged the regulation in federal court. Implementation of the plan has been on hold since the U.S. Supreme Court in February 2016 froze the rule until the case is resolved in the U.S. Court of Appeals for the District of Columbia Circuit. In April, the appeals court put the case on hold for 60 days after the Trump administration requested an indefinite freeze on proceedings. The court is weighing arguments on whether to put a long-term hold on the case or simply close it. Despite the lawsuit, many states continued to work on plans to reduce coal plant emissions and some have made significant steps toward meeting Clean Power Plan goals. Numerous coal-fired plants have been retired or retrofitted to use cleaner burning and less costly natural gas. Some power companies also have turned to renewable energy sources under state mandates.